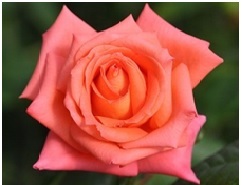 Bloom: Repeat bloomer that produces a perfect bloom almost every time. Long, pointed buds open into exhibition style flowers on a very tall plant. Interesting Facts: Bred by Kordes of Germany. Should be at the back of the rose bed or may be used as a short climber of about 8′.